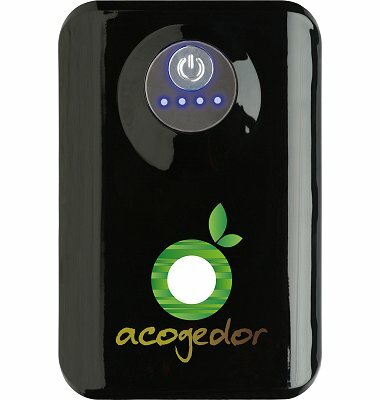 Black power bank showing printed logo on the front. 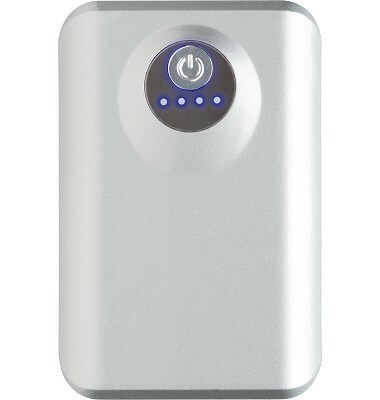 Power Bank for iPad & Tablets silver front. 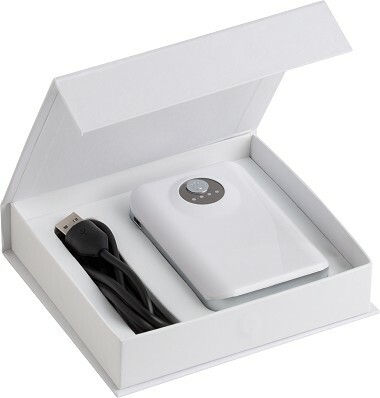 Power Bank for iPad & Tablets white in a presentation box. 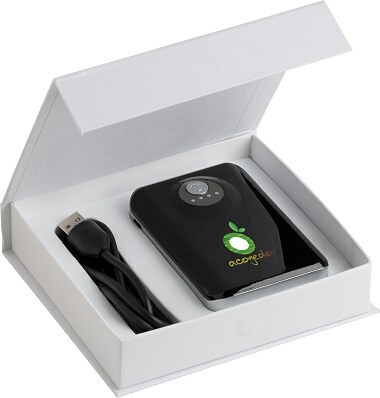 This very powerful 6600mAh power bank with included white card presentation box with magnetic clip makes an excellent promotional gift. If has a flashing battery indicator, flashlight function, two output ports to simultaneously charge multiple mobile devices. Gift box with magnetic closure. 3 way USB charging cable.